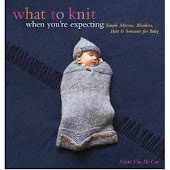 What To Knit When You're Expecting: Next time, can we eat before the apocalypse? Next time, can we eat before the apocalypse? 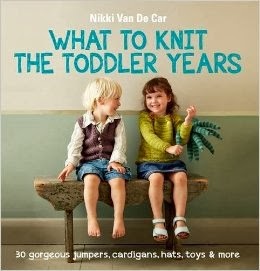 The trouble with babies is that you stop having much to say. Well, that's not quite true. I still say plenty, but it's really repetitive: "She's just so fun!" "Wow, I don't miss how she used to be at all, though I know I loved it--this is just so much better! I can't wait till she gets older!" "Hah! Did you see that? She put the toy behind her head! She's so fun!" Does not make for good blog posts. But we are still doing plenty; yesterday, for instance, we trekked out to the Prospect Park Zoo and met up with our friends Emily and Nicole (12 weeks and grown-up age, respectively). I did envy Nicole Emily's ease and portability--"Ride in the stroller? Okay. Carry me now? Okay"--while I am bound by the python-like grip of Willow's schedule: "Lunchtime is now. In fact it was ten minutes ago. I will now proceed to freak out." But then again, Willow had waaaay more fun at the zoo. Only a month later, and it was a vast change in her approach to zoo-visits. No longer were pipes and walls more interesting than tigers. She giggled and screeched when the cow moooed and the alpaca gave her a sniff. She paid attention to animals that were behind glass. And that weren't even moving. I wish I had pictures, but sadly, that's the problem with hanging out with mothers and babies--nobody has a free hand. In short, it was a super fun day, and the only trip we've made this week outside the bounds of the house and the park, and so sorely needed. We stayed a little later than we probably should have at the zoo (thereby risking Willow's dinnertime wrath) because she was having such a good time, and because they had a sea lion feeding at 4. So by the time we were heading onto the PATH train, we needed to book it home because a certain little girl was already getting a little hungry in anticipation. Only when we got to Jersey City, the sky had turned black. There were huge bolts of lightning, and claps of thunder that made me jump. I really like thunderstorms, but not when I have a baby strapped in something with a metal frame. Then they're less fun. Foolishly, since it wasn't raining yet, I decided we'd sprint for it, since she was hungry, and it was dinnertime now and we were still 20 minutes away from home. Wouldn't you know it that as soon as we got across the street, the skies opened up like a bucket. Lashing rain, continued lightning, wind, and general scariness, and no cabs to be had. Willow, by this point, is terrified and soaked. I'm cursing myself for being a) stupid, b) a terribly irresponsible mother, and c) completely unable to summon a cab out of thin air. We go back to the train station, where I strip down the drenched child, and calm her down. I hold her until the rain stops--which takes all of ten minutes--and then, since there are still no cabs, decide to sprint home. I keep her as warm as I can, hitch up my pants which sit kinda low under the best of circumstances but after that downpour are basically down around my knees, and we run home. Where there is food. And dry clothes. Dave came home to find Willow in her pajamas happily eating dinner and giggling away, while I sat in soaking wet underwear still shaking from the trauma.